Are you taking a trip to NYC? We have siteseeing bus tours for any budget. We offer the best New York sightseeing bus tours led by local experts so you won’t miss the most important attractions. On our NYC bus tours, hop on, hop off, and take time to enjoy all of the different places to visit in New York City. We have dozens of hop-on hop-off bus tour stops near all major points of interest. 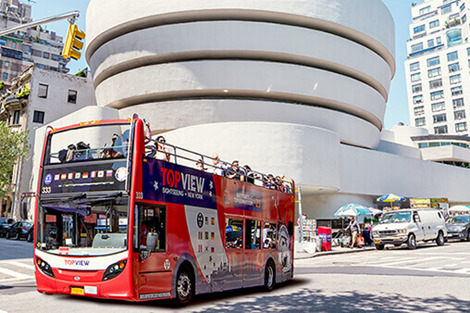 Our New York sightseeing bus will take you by all of the biggest NYC attractions. Our prices start at $29 and we have specials running daily ! Also check out our Bicycle Rentals and we have Cruises also. Enjoy the beauty of the New York City skyline on one of our nightly cruises.